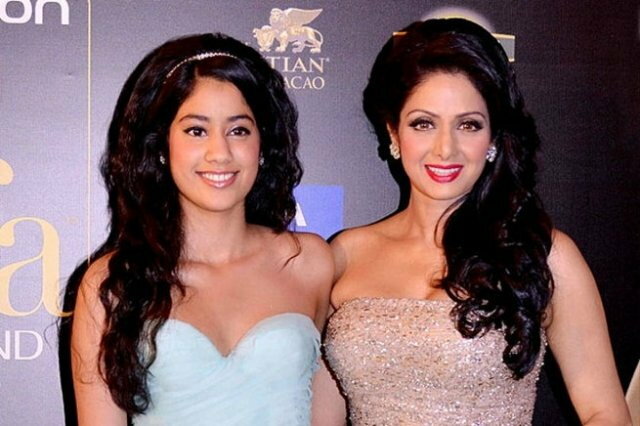 Jhanvi Kapoor, the daughter of Sridevi & Boney Kapoor, is one of the promising star kids of Bollywood contemplating to enter Bollywood. She is quite a social person and updates her social networking accounts be it Instagram, Facebook, or Twitter without fail. The teenager makes herself known in all possible ways; her photographs are public and can be viewed by anyone using social sites. Whether the event is small or big Jhanvi doesn’t miss to share it with people. Her close friend is Alaviaa Jaaferi who is the daughter of actor Jaaved Jaaferi. The two of them have often been seen spending time with each other. Jhanvi has inherited a lot of qualities from her mother, one of them being the sense of style. The teenage diva is being hailed as the next fashionista who will bowl everyone over with her fashion statements. The lovely girl depends on hands-on experience to gain knowledge about the film world by attending film shoots and talking to established actors. Jhanvi is the elder daughter of Bollywood’s top yesteryear actress Sridevi and film producer Boney Kapoor. She has a younger sister named Khushi who is studying abroad. 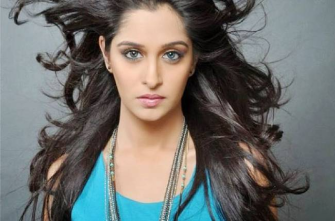 Her grandfather is the late Surinder Kapoor who is the first cousin of Prithviraj Kapoor. Both the siblings are surrounded by relatives who are successful actors in Bollywood. As all would know, well-known actor Anil Kapoor is her uncle and his daughter, film star Sonam Kapoor is her cousin. Besides them, popular actor Arjun Kapoor and Anshula Kapoor are her half brother and sister respectively. Jhanvi’s mother worked as the leading lady in Hindi, Tamil, Telugu, Malayalam and Kannada films and is considered to be the first female superstar of Bollywood. Sridevi gave several box office hits; some of them being Mr. India, Chandni. Nagin, Khuda Gawah, Laadla, Judaai, and more. Sridevi made her comeback in Bollywood with the film English Vinglish in 2012. No other Bollywood actress has been able to make such a superb comeback as Sridevi did with English Vinglish. Her father Boney Kapoor is the elder brother of actors Anil Kapoor and Sanjay Kapoor and has produced successful movies like Mr. India, No Entry, Judaai and Wanted. The family believes in religious rituals for its well-being and prosperity. Sridevi has visited the Sri Kalahasti temple in Andhra Pradesh along with Jhanvi to perform special prayers for the betterment of the family. To spend quality time with each other and take a break from work the Kapoor family plans a get together on festivals like Ganesh Chaturthi. During one such vacation, Jhanvi along with her father and sister, accompanied her mother to Georgia when she was shooting there. Jhanvi and Arjun Kapoor, however, don’t share a healthy relationship. The duo seldom talks and prefers to avoid each other. Arjun has always maintained that he shares an amicable relationship with his step-mother Sridevi and step-sisters, Jhanvi and Khushi. 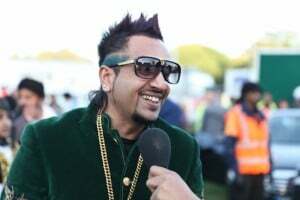 But the reality is that Arjun never turns up at birthday parties or social gatherings hosted by the family. Given her lineage Jhanvi has acting in her blood. To pursue a career in movies she is following her mother’s footsteps and has been taking acting and dancing classes to groom herself. She enrolled herself at the Lee Strasberg Theatre & Film Institute in Los Angeles for acting lessons. Bollywood heartthrob Ranbir Kapoor also studied in this institute and considering his work, it seems that Jhanvi too will create a place for herself in B-Town. 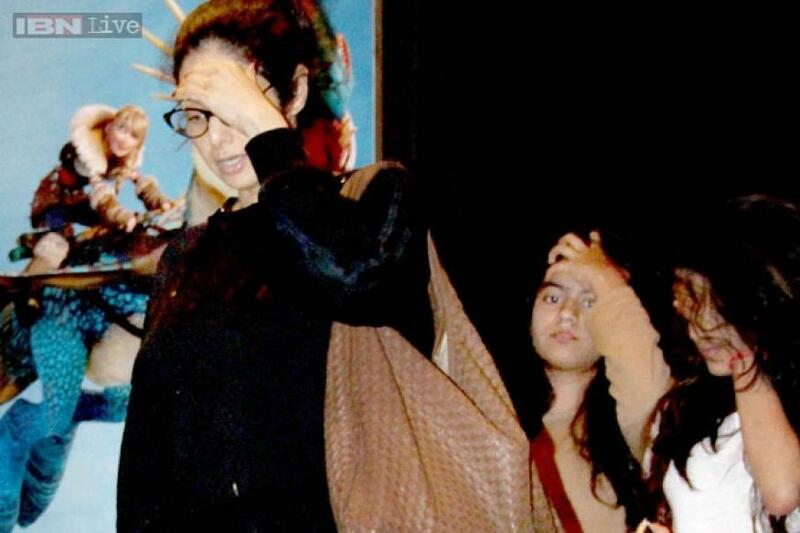 Mother Sridevi takes her along to social events and parties to acquaint her with the people in the Hindi film industry. There were reports that Jhanvi has been receiving several offers from the South Indian cinema opposite Akil, Ram Charan Teja, Naga Chaitanya and others. Rumours were also circulating about Jhanvi making her cinematic debut with Student of the Year 2. Director and producer Karan Johar will probably introduce Jhanvi with the film, which will also feature Shahid Kapoor’s half-brother Ishaan Khattar and Saif Ali Khan’s daughter Sara Khan. Speculations were also being made about Jhanvi making her debut alongside Malayalam star Dulquer Salmaan of OK Kanmani fame in a film being penned by SS Rajamouli’s father, KV Vijayendra Prasad. Jhanvi also walked the ramp along with her mother at the Lakme Fashion Week in 2012. The teenager spent a lot of time at the event and attracted everyone’s attention with her ultra-short dresses. 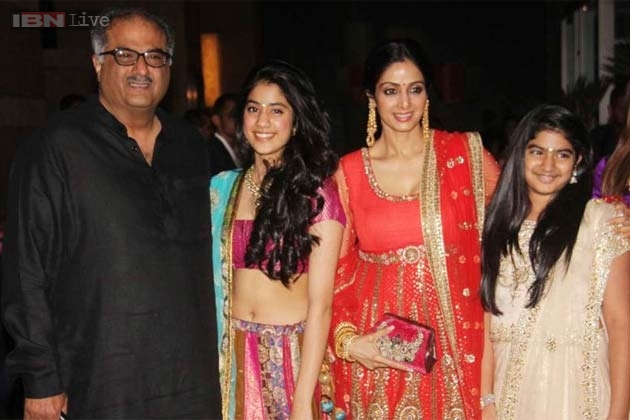 But Sridevi feels that her daughter must first complete her education and then think about entering Bollywood. Jhanvi’s mother is very protective about her and takes the final decision in all her matters. Whether it is food, friends or clothes, nothing escapes Sridevi’s eyes. Will this have an impact on her entry into Bollywood? Only time will tell. Do You Know The Real Name of Sridevi? She Is One Of The Bollywood Celebrities Whose Real Name Will Surprise You! Jhanvi on the other hand appears too keen to join movies and is getting first-hand experience in filmmaking. She went to watch Salman Khan when he was shooting a bike scene for his movie Jai Ho. The star kid also talked with Salman between takes and the actor shared his experiences with her during the shoot. The superstar also went to meet Boney Kapoor and Sridevi at their home after the shoot. Was the visit made with regard to Jhanvi’s launch or was it just a casual meeting is anybody’s guess. Reports about Salman Khan mentoring Jhanvi’s stepbrother Arjun Kapoor when he was taking his baby steps in Bollywood,had also surfaced in the media. Even before the diva’s entry into Bollywood she is being chased by the paparazzi because of her star appeal, but like most kids, she likes to keep the photographers at bay. In one such incident, upon arrival at the Mumbai airport from a vacation, she asked her bodyguards to prevent shutterbugs from clicking her pictures. The bodyguards went to the extent of seizing the cameras of photographers and returned them only after Jhanvi had exited the airport in her private car. Jhanvi, however, is comfortable about sharing her private pictures on photo and video sharing site Instagram. No matter what the occasion Jhanvi follows the latest fashion trends and puts up all her pictures for public viewing. When it comes to gaining attention, Jhanvi’s sister Khushi Kapoor is not far behind. In 2015, Khushi had a tiff with Saif Ali Khan’s son Ibrahim on social media. This happened after Khushi put up a photo from New York on her Instagram feed and Ibrahim felt he was lagging behind Khushi’s pace of updating her social networking accounts. Khushi also made headlines when she posted a picture of her kissing pop singer Jack Gilinsky on the cheek on Instagram.